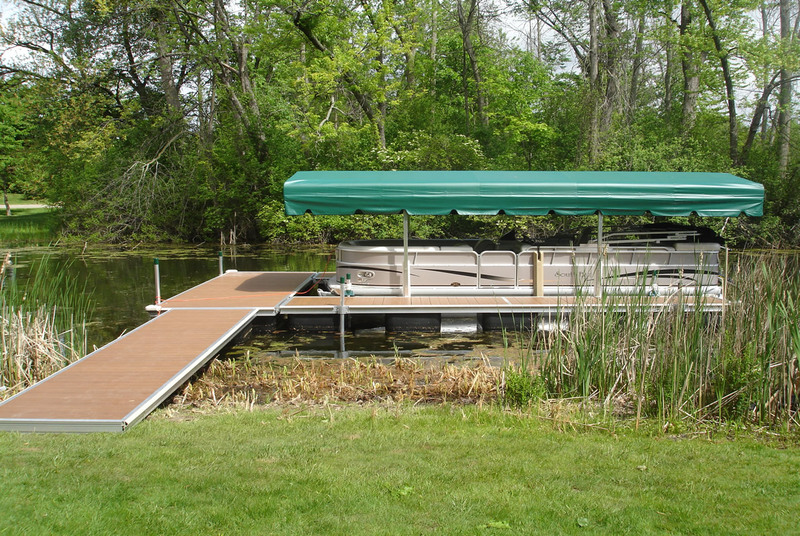 The Best Floating Boat Docks in Michigan. 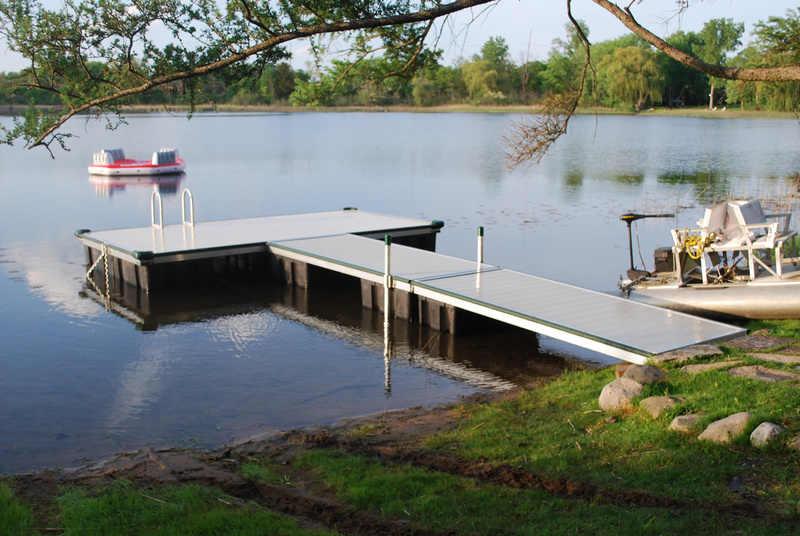 Length: 10 ft, 15 ft, or 20 ft. 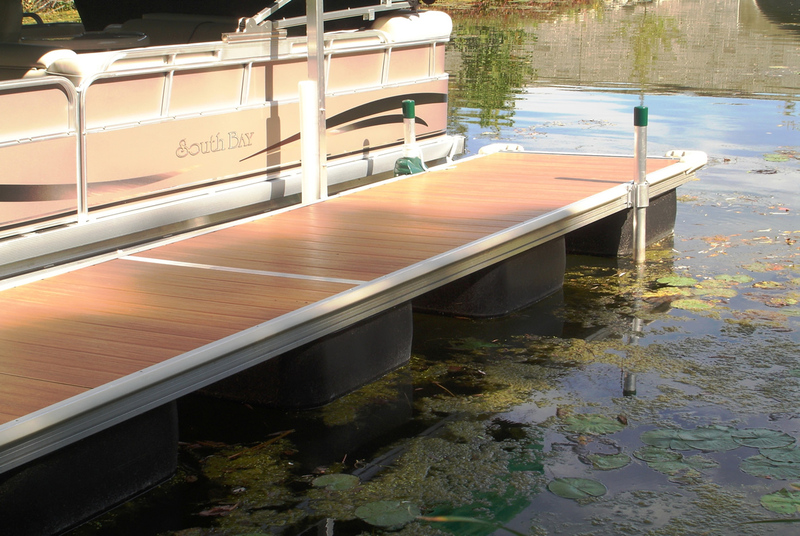 Manufactured with a thick heavy duty polyethylene outer shell and 100% foam filled core for an unsinkable dock. 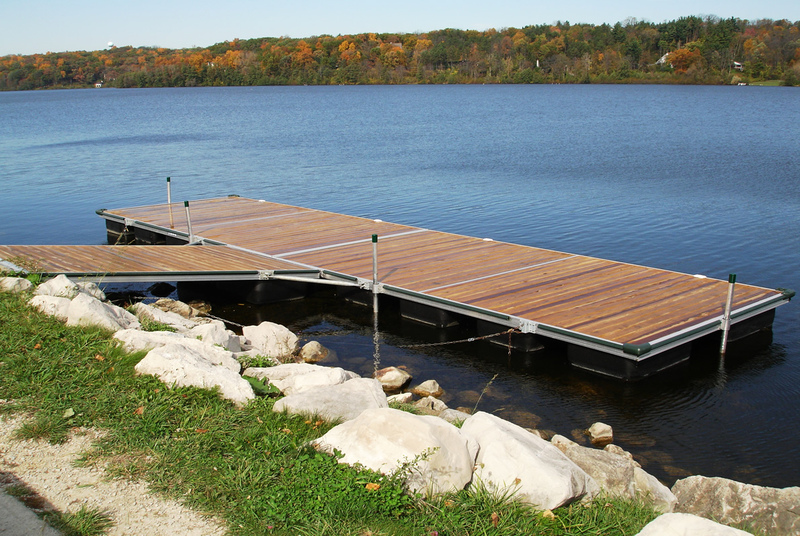 Our unique construction format employs a lap welded box frame with a corrosive resistant aluminum under structure and stainless steel hardware, which provides unparalleled strength and durability to meet your life-long performance expectations. 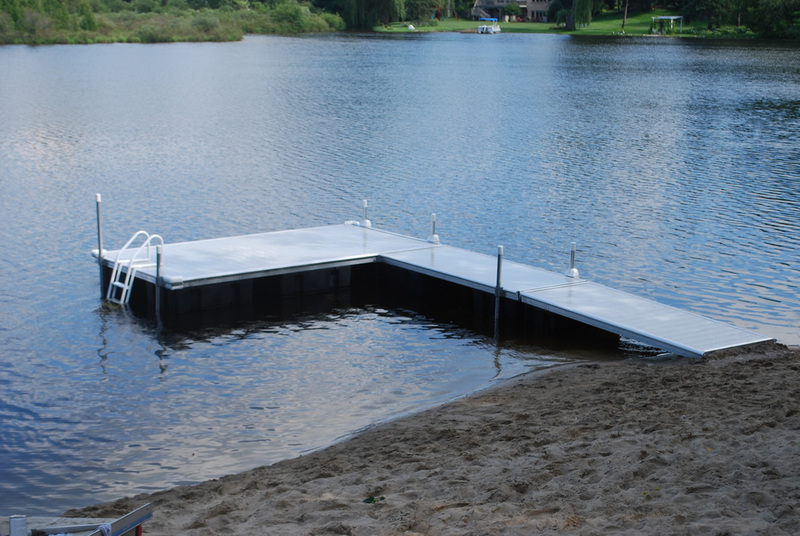 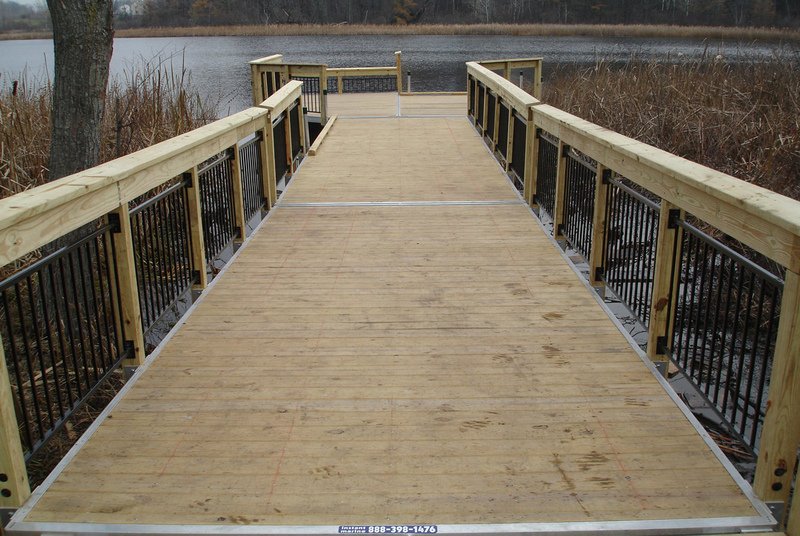 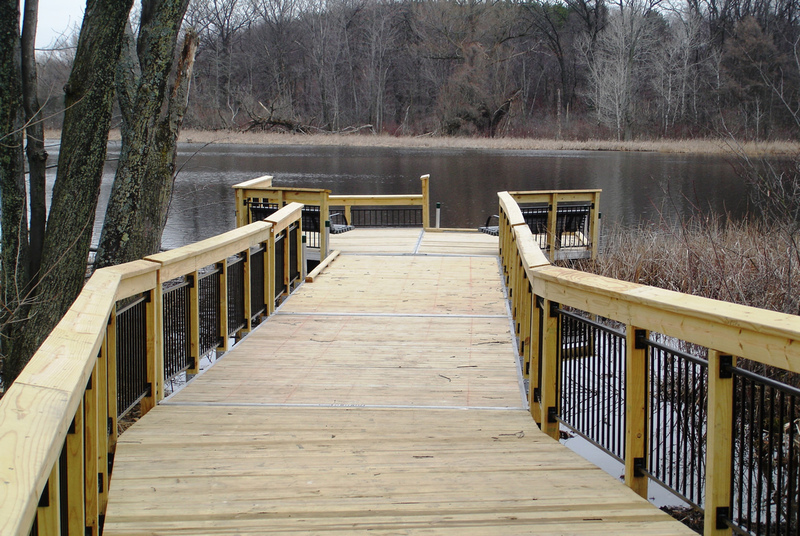 Heavy gauge aluminum pole guides with ”nylon” inserts allows for a quiet self adjusting floating dock system. 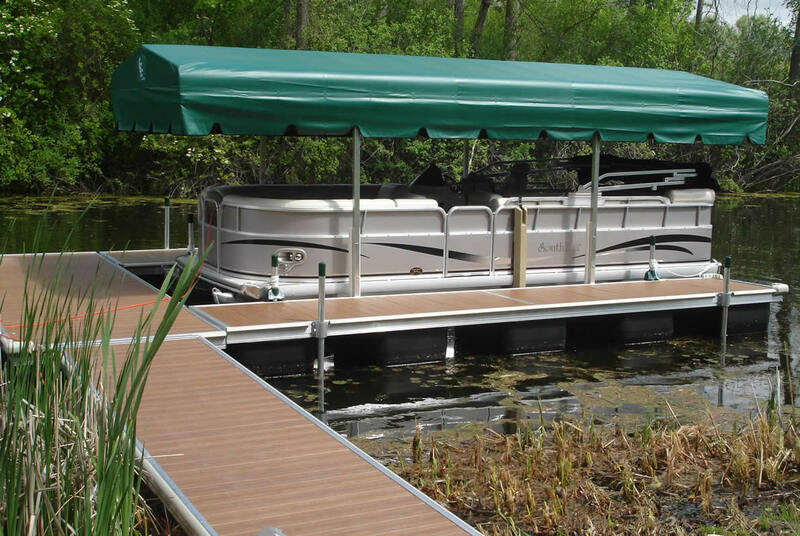 Our chain pockets can be used for deeper applications.